Full Force Red Cord Daito Sword | BUDK.com - Knives & Swords At The Lowest Prices! Get realistic training impact without hurting your opponent or your wallet! 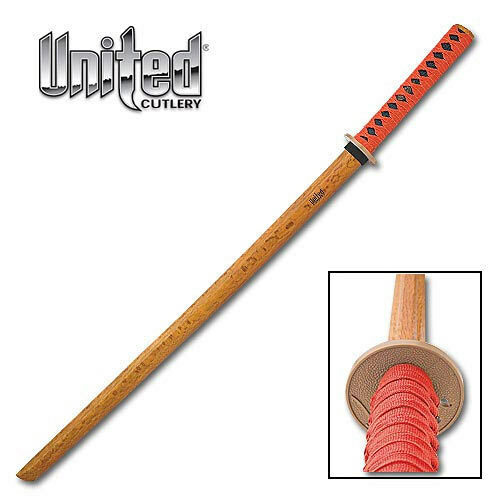 The Full Force Katana is crafted and weighted to resemble a real samurai sword. This item is ideal for practicing techniques without the danger of using a sharp sword. This wood sword measures 39 1/2" overall and is constructed from solid wood with a ray skin handle and red cord wrapped grip. United Cutlery, UC2561.